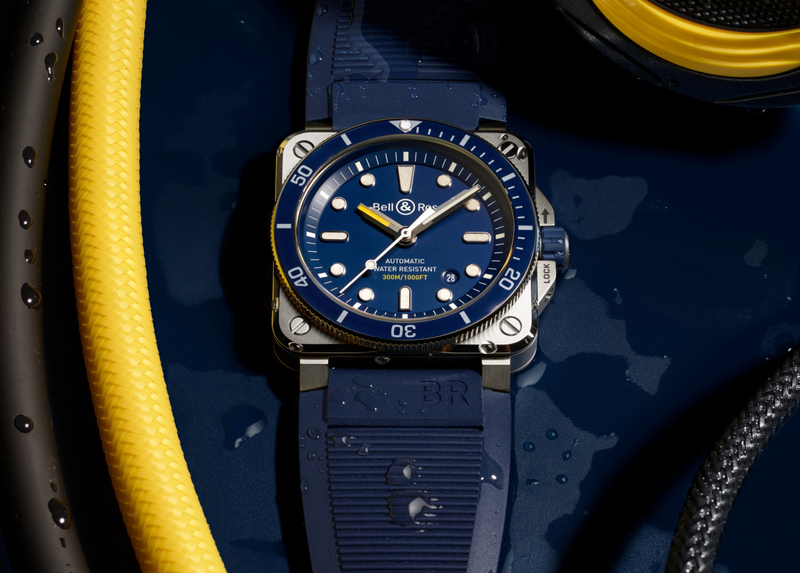 After presenting its first square diving watch – the BR03-92 – last year, Franco-Swiss horologists, Bell & Ross have added two new timepieces to its range, forming the dedicated Diver Collection. 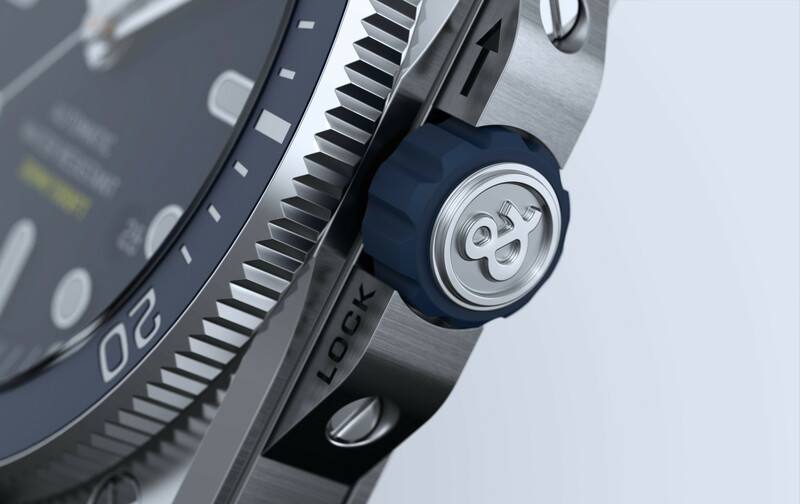 Joining the standard black-and-silver colourway in the new line-up, the standout addition is undoubtedly the new blue Bell & Ross BR03-92 . 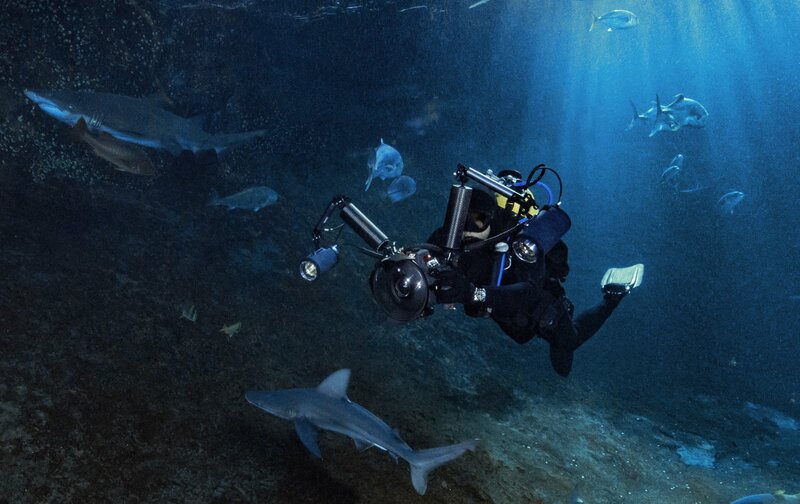 Retaining the BR03-92’s unique blend of traditional dive watch cues and Bell & Ross’ signature square-edged aeronautical style, the blue timepiece’s colour is meant to symbolise the ocean itself. However, it’s not a simple case of style over substance. 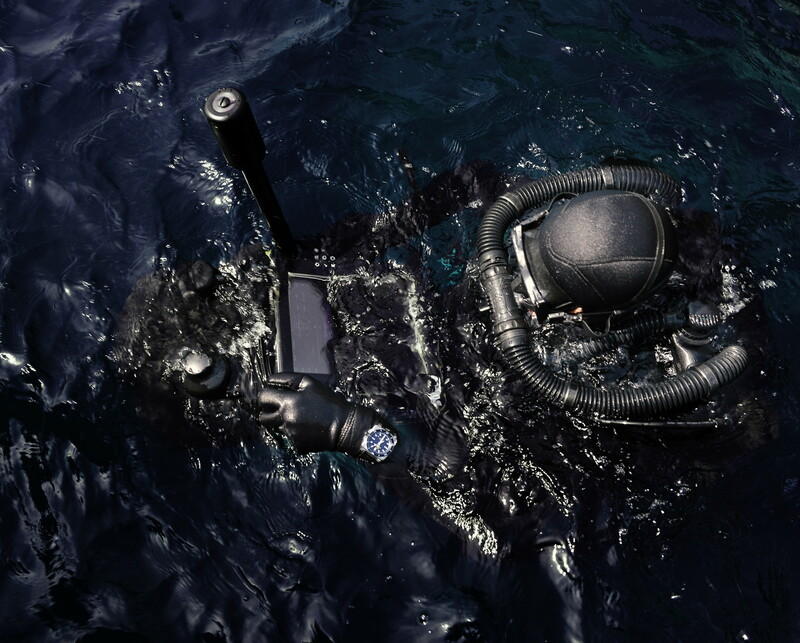 The new additions to the Bell & Ross Diver Collection continue to meet the ISO 6425 safety standard required of a professional dive watch. 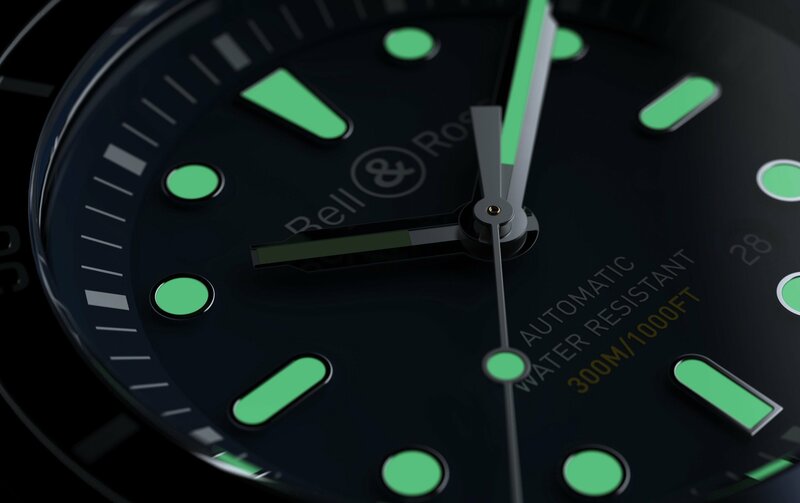 This means the BR03-92 comes with a rotating bezel, anti-magnetic and anti-shock protection (including around the heavily-fortified, screw-in crown), water resistance to 300 metres and, most importantly, legibility even in the ocean’s darkest depths. 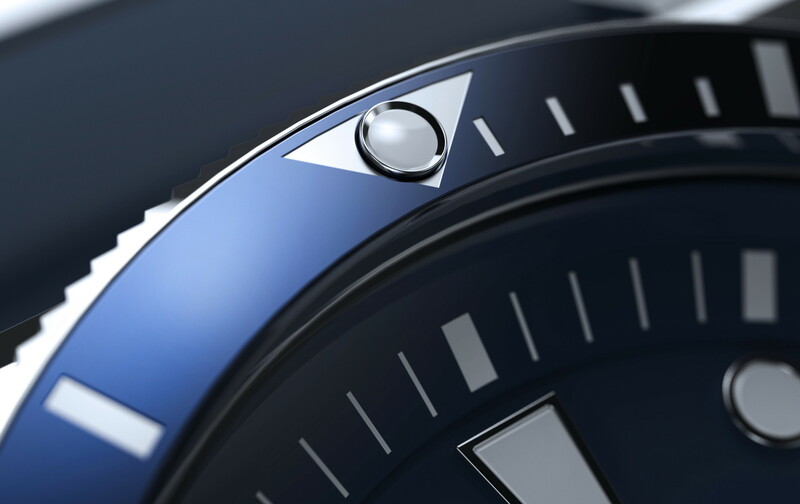 To this end, the blue Bell & Ross BR03-92 comes with a yellow hour hand that gradually vanishes as the depth increases, progressively emphasising the White SuperLuminova-coated minute hand. 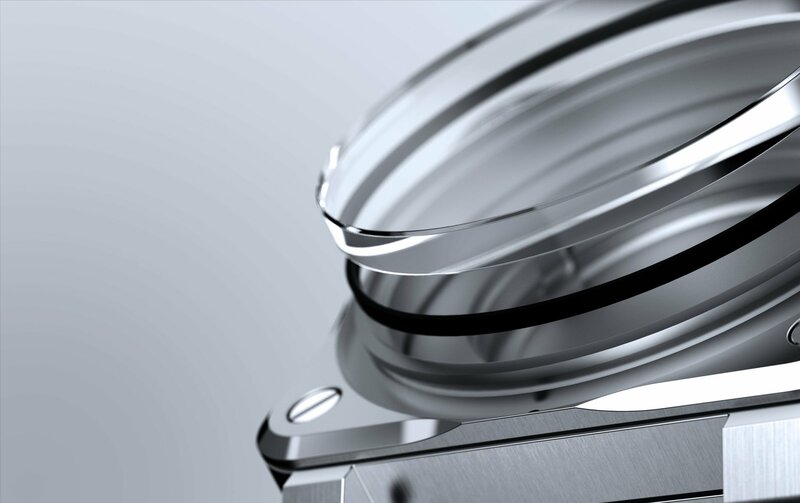 Limited to just 999 examples, the 42mm bronze case will – unlike stainless steel watches – develop a unique patina over time. 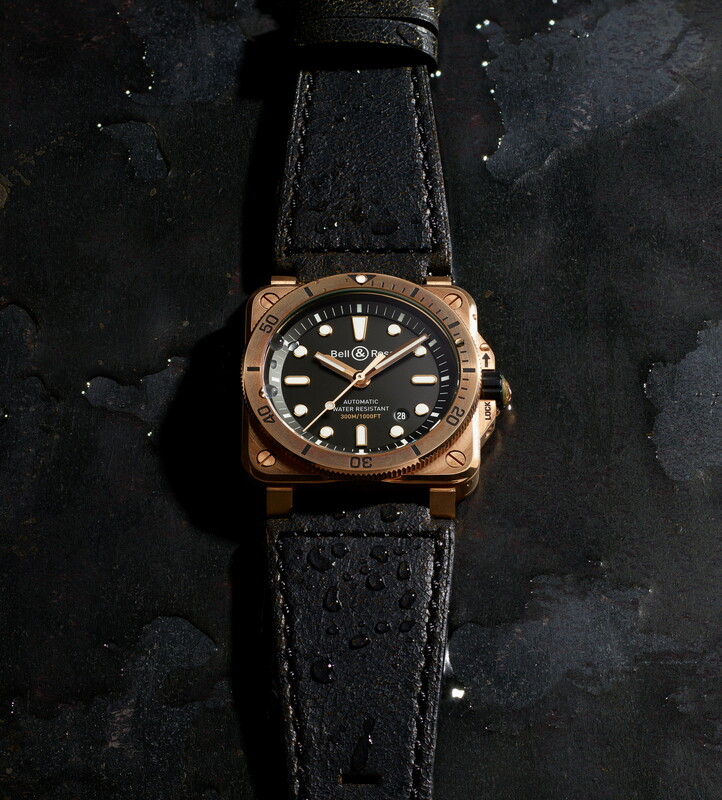 To highlight this vintage aesthetic, the bronze BR03-92 comes with a brown calfskin leather strap (although a black rubber strap more suited to diving applications can also be fitted).